Time to party — or take a nap! Prince Harry and Duchess Meghan were up for hours on their wedding day, so it’s not surprising that they were a bit tired before they even hit up the evening reception. 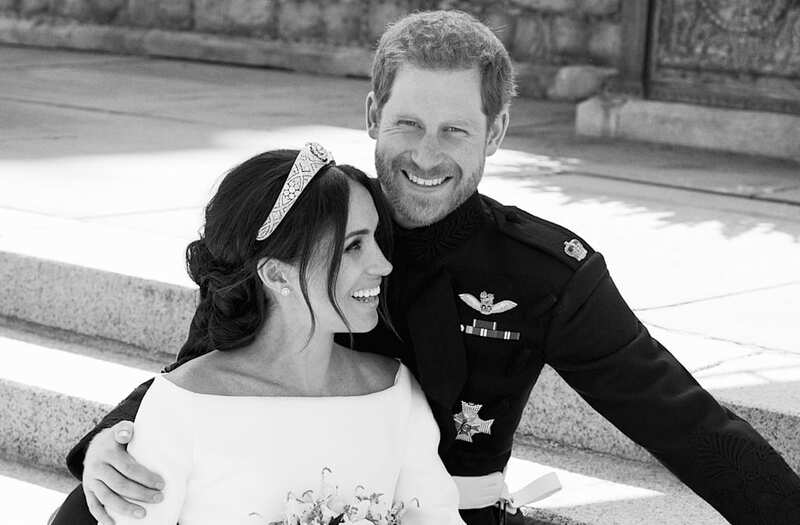 After their first post-ceremony gathering, which was hosted by Queen Elizabeth II, the couple posed alone for photographer Alexi Lubomirski outside. As if that weren’t pressure enough, they only had less than five minutes (seriously, the schedule was tight!) to get the perfect moment. Before wrapping up, Lubomirski suggested that Harry, 33, and Meghan, 36, sit on the stairs for a final snap. This decision led to the stunning black-and-white shot where the pair are laughing — and for good reason. Afterward, the newlyweds would make a quick wardrobe change before celebrating with 200 close family and friends at Frogmore House. Following a fireworks spectacle, they would sneak off together after 11 p.m. for some alone time.